February 23, 2015 By Tina M 3 Comments This post may contain affiliate links. Read my disclosure policy here. Sometimes it feels like tragedy hits several loved ones at the same time. Near the end of the year last year, we knew a family who lost a child to suicide, a good friend who lost her uncle, and a few other people that needed some extra love in their life. 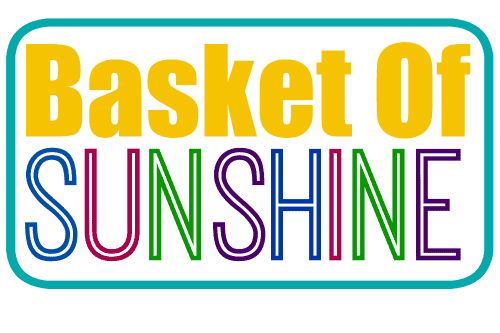 Get the Free Basket of Sunshine Printables below! Sometimes it can be hard to know what to say in moments like this. This is when I feel like a basket of sunshine says it all! I also like to get a few cute jars from the Dollar Tree to put some of the items and candies in. If you need something low-cost you could just do “jar of sunshine” and fill it with various yellow candies. I’ve done large baskets for some huge life events, or smaller baskets just to life someone’s day or let them know that they inspire me, or that I’m thinking of them. and anything else yellow that catches my eye! The fun thing about using the color of yellow, is that you can also play of the phrase “when life gives you lemons” if it fits the situation. 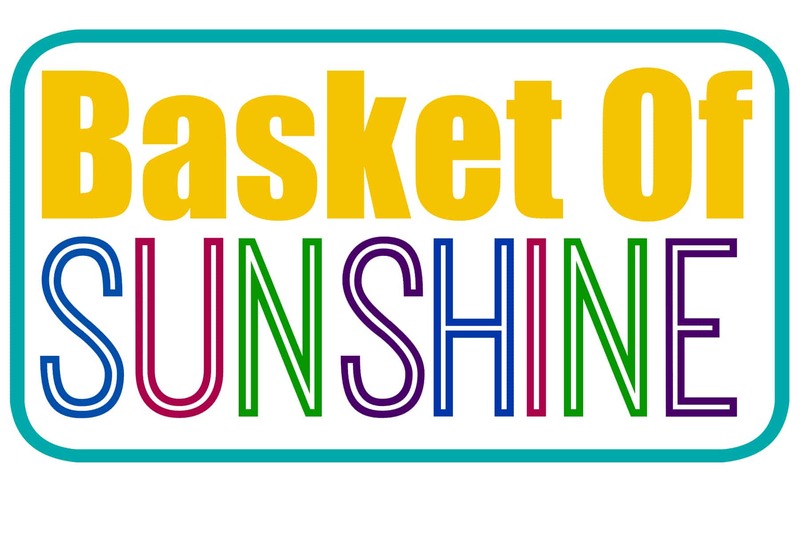 IF YOU MAKE A BASKET OF SUNSHINE…I WOULD LOVE TO SEE IT! Let’s inspire others to spread kindness. 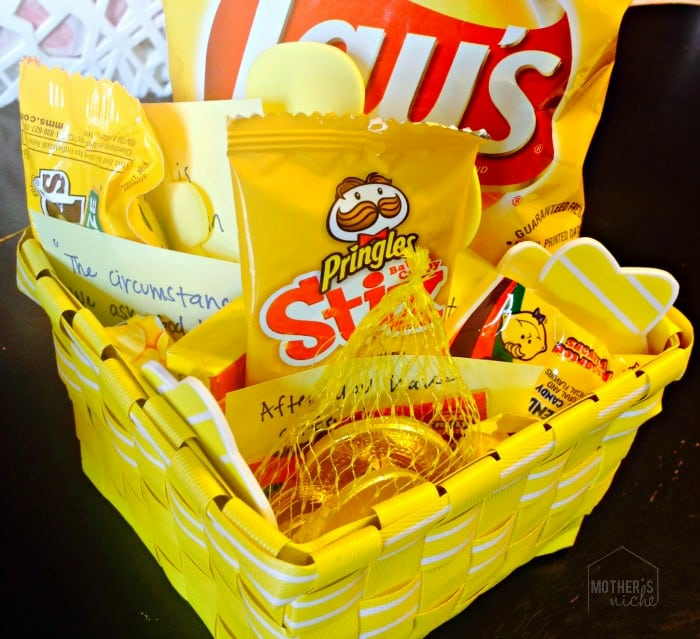 Post to Instagram with hashtag #MothersNicheBasketofSunshine and tag @mothersniche in the pic so I can see it. And…if you liked this post, you might be the kind of person that likes our “Pay it Forward” Printable too! « Winter Awards Giveaway! $750 Value! ADORBS!! 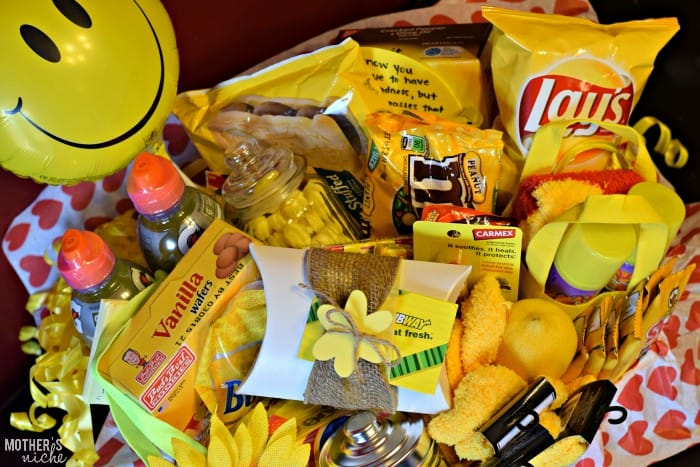 This is a super cool DIY to share with those that need just a little sunshine brought to their soul. Do you think if I did this project, could I do the hasthag and tag you on pinterest with it? I don’t have a instagram and I’m on my pinterest most of the time. Anyway, thanks for the cute project! Of course! I would love that!